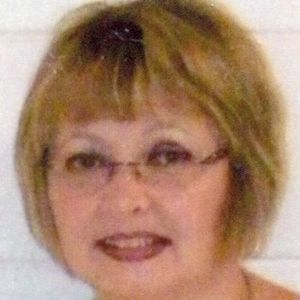 POWDERLY - Patricia Dawn Littlefield, 57, of Powderly, KY died on Tuesday, October 12, 2010 at Muhlenberg Community Hospital in Greenville. Mrs. Littlefield was born on July 17, 1953 in Pennsylvania. She was a homemaker and a member of Willow Glenn Church of Christ. She was preceded in death by her parents, Ernest and Kathern Lucas. Survivors include her husband, David Littlefield; a son, Zeb (Shandi) Littlefield of Central City; daughters Molly Littlefield of Glasgow and Emily (Larry) Brooks of Central City; grandchildren Paige Littlefield, Gabriel Littlefield, and Elijah Littlefield; a brother, James (Marlene) Lucas of Pennsylvania; and a sister, Kathy (Alfonso) Santana of Pennsylvania. Funeral services will be Saturday, October 16, 2010 at 11:00AM at Tucker Funeral Home in Central City, with Mr. Jimmy Jenkins officiating. Burial will be in Fairmount Cemetery. Visitation will be Friday after 5:00PM at the funeral home. Online condolences may be made at www.tuckerfuneralhomes.com. Mother, is the name for God on the lips of all her children as they grow up, you were my strength and inspiration. I will love you always and forever, I just wish I had been a better son for you while you were here. I love you mommy. I;m so sorry for your loss, My heart and prayers go out to you all. I am so sorry to hear about the passing of your mother. I know how hard it is to loss a parent. I can remember the times that our families would get together when we was younger, when our father's worked in the coal mines together. I can still remember the house you all lived in going towards Morgantown, KY. You will have alot of bad days to come. You all will be in my thoughts and prays in these difficult times. I am so sorry for your profound loss. May God continue to embrace you with his strength, and shower you with his infinite love. You and your family will be within my heart, thoughts and prayers. We were deeply saddened to hear of Patty's untimely death. We have fond memories of her and of all your family from a time when we were all quite a bit younger. We want you to know that you are remembered in our thoughts and prayers and we wish the best for you as you make difficult decisions and adjustments in the future. Molly I am very saddened to hear of your loss! may God bless you and your whole family, you are in our prayers! I am very sorry for your loss. Please know that my thoughts and prayers are with both of you and your families. I well never forget you because you was like a second mom to me. I know there was things I did when me and Emily first got together that you didn't like.But you gave me a second chance I really glad you did.And I thank you every day for that.Because there is things that we have done together and has family. And I enjoyed every minute of it. And I want to know that I take care of your daughter and the rest of your family the best that can. Just remember that I will always love you so much and I will never forget who you was. A very loving mom and good wife.